Raise your hand if you actually knew that April 9th is National Unicorn Day. I honestly cannot raise my hand on this one. I am constantly amazed at all the different “official” national (insert topic) days that exist. Unicorns are the symbols of purity, innocence, and enchantment. They are loved by children and adults of all ages and a huge part of legends and fairytales. Unicorns are actually the national animal for Scotland. If you are into trivia that’s a good question for you. Betcha didn’t know. To help you celebrate the day I’ve put together some new Unicorn Planner Quote stickers for your planners. Go ahead and get into the holiday and add some magic of unicorns to your planners. 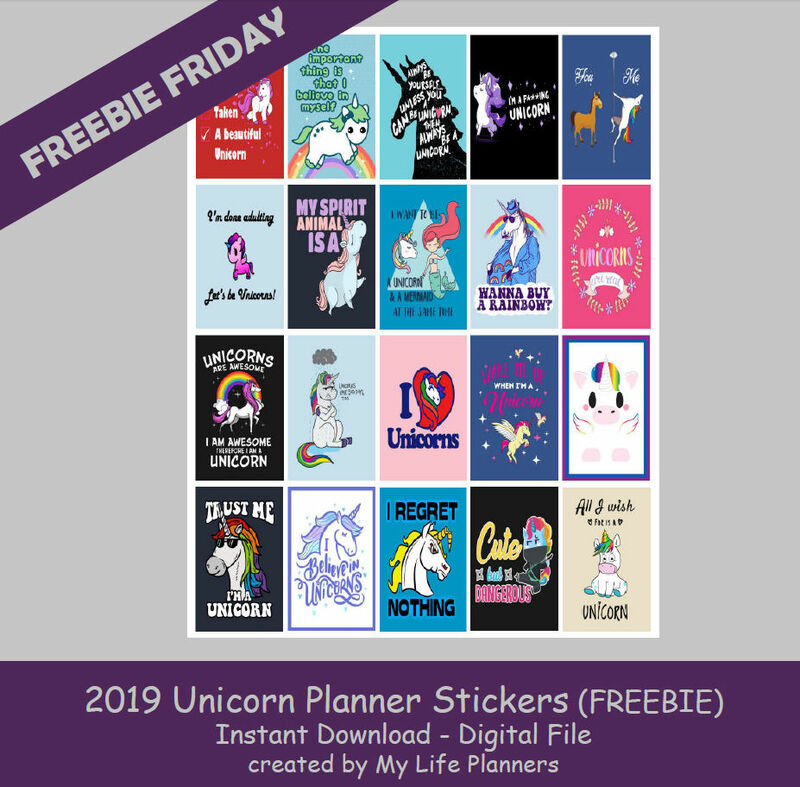 If you missed the previous Unicorn Planner Quote Stickers, you can revisit and download 2017 here and 2018 here.